It’s easy to dismiss digestive problems as irrelevant unless you’ve experienced a serious one yourself. The truth is millions of people suffer from some type of digestive disorder, which can range from mild to life-threatening. Recommending supplements for patient digestion can be vital to their holistic health. According to the National Institute of Diabetes and Digestive and Kidney Disorders (NIDDK), anywhere from 60 to 70 million Americans experience some type of digestive disorder.1 In 2010, these digestive diseases resulted in more than 20 million hospitalizations and nearly 50 million ambulatory care visits. Standard treatment for digestive disorders includes prescription or over-the-counter medication, changes in diet, and surgery in particularly severe or chronic cases. Common lifestyle changes to address these conditions might involve meditation, stress-reduction classes, and yoga. Gallbladder disease: When the gallbladder has to be removed, bile is no longer stored there from the liver. This prevents the body from breaking down and absorbing fats and fat-soluble vitamins such as A, D, K, and E. Patients who have had their gallbladders removed will require supplements that will help them digest fats and cholesterol.3 Both bile salts and choline can help the body properly digest dietary fats. Digestive troubles can be difficult for patients and contribute to a host of other problems in the body. DCs concerned with holistic wellness will know to suggest herbs and supplements to improve patient comfort. 1National Institute of Diabetes and Kidney and Digestive Disorders. “Digestive diseases statistics for the United States.” http://www.niddk.nih.gov/health-information/health-statistics/Pages/digestive-diseases-statistics-for-the-united-states.aspx. Updated Nov. 13, 2014. Accessed June 11, 2015. 2 Medline. “Digestive diseases.” http://www.nlm.nih.gov/medlineplus/ency/article/007447.htm. Updated Feb. 11, 2014. Accessed June 11, 2015. 3 LiveStrong. 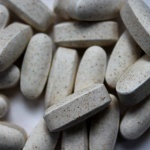 “Supplements for gallbladder removal.” http://www.livestrong.com/article/542063-supplements-for-gallbladder-removal/. Updated Sept. 12, 2011. Accessed June 11, 2015. 4 WebMD. “Combination of therapies offers help for IBS.” http://www.webmd.com/ibs/features/combination-of-therapies-offers-help-for-ibs?page=4. Reviewed April 23, 2007. Accessed June 11, 2015. 5 Healthline. “Herbs and supplements for Acid Reflux (GERD).” http://www.healthline.com/health/gerd/melatonin#1. Published June 30, 2012. Accessed June 11, 2015.